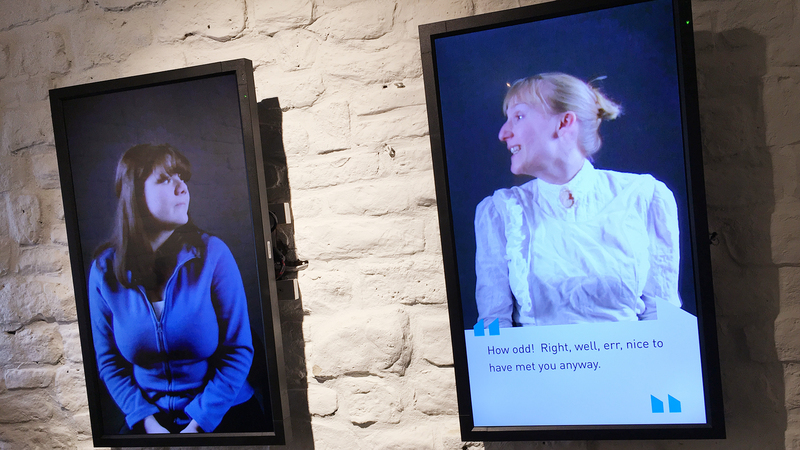 Four interactive exhibits use video, "talking heads", audiovisual content and dual-screen quizzes in this thought-provoking exhibit challenging the notion of the perfect body. 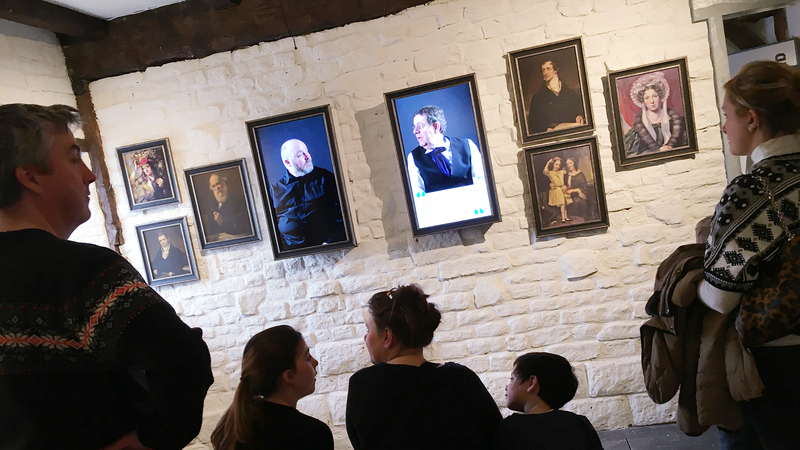 Shaping the Body is a new exhibition at York Castle Museum, which looks at how culture, food, health and lifestyle have shaped the way we look over the past 400 years – a thought-provoking exhibition which challenges the notion of the perfect body. 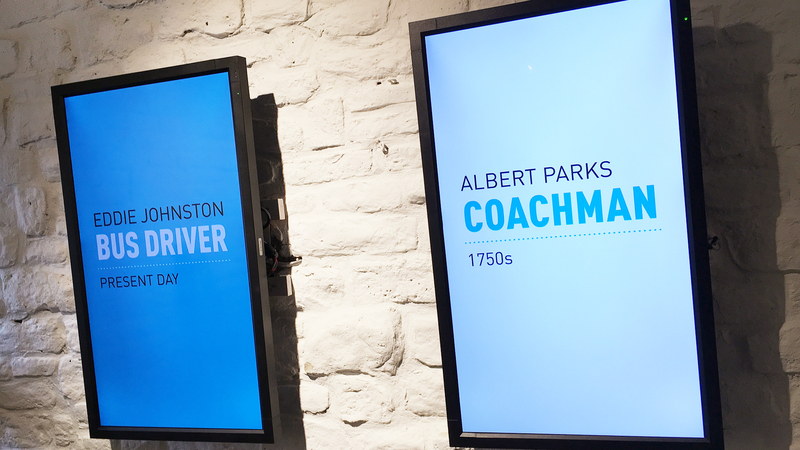 Working with designers, PLB, we developed software, specified hardware and installed as a turnkey solution four interactive exhibits. Film, as part of an immersive audio visual experience, has played an important part in this exhibition. The client provided the scrip, actors and costumes whilst we filmed and edited the shoots. 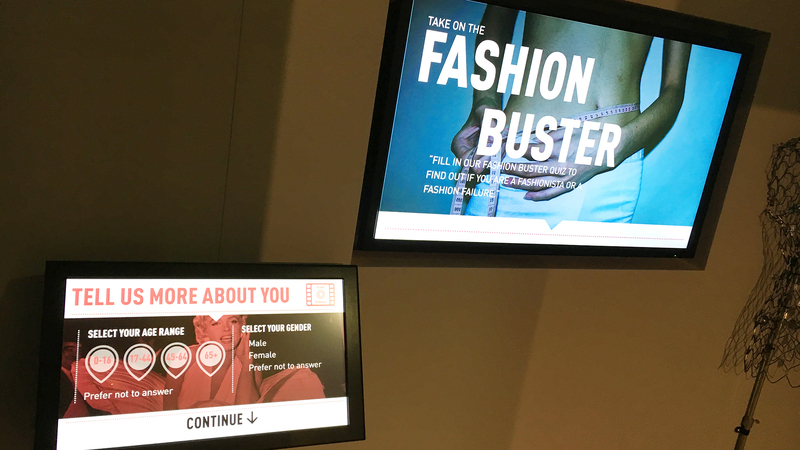 This touchscreen exhibit presents visitors with five questions which challenge their perception of fashion with a choice of responses. 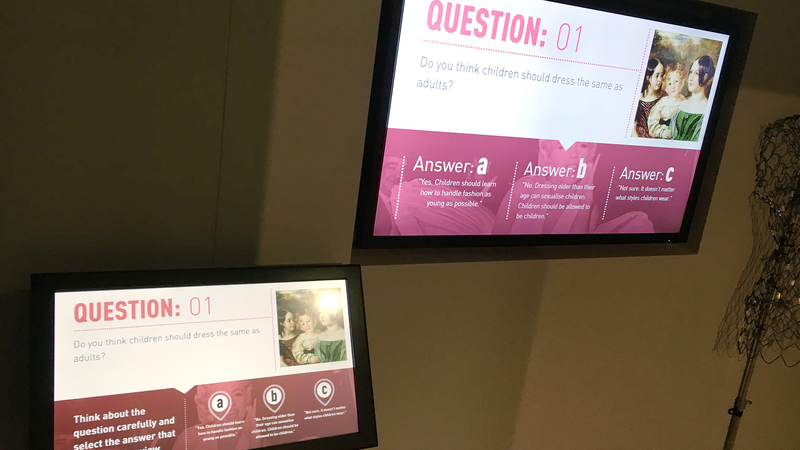 The exhibit gives the user the option of entering their gender and age group and can display their answers in relation to those of the general public and those of visitors who match their profile. 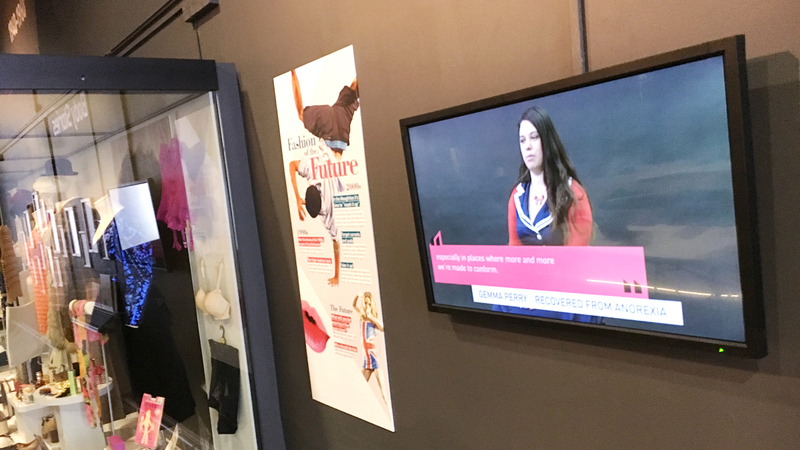 The exhibit also includes a selection of videos from the early and middle 20th century that illustrate attitudes towards physical beauty of the day. 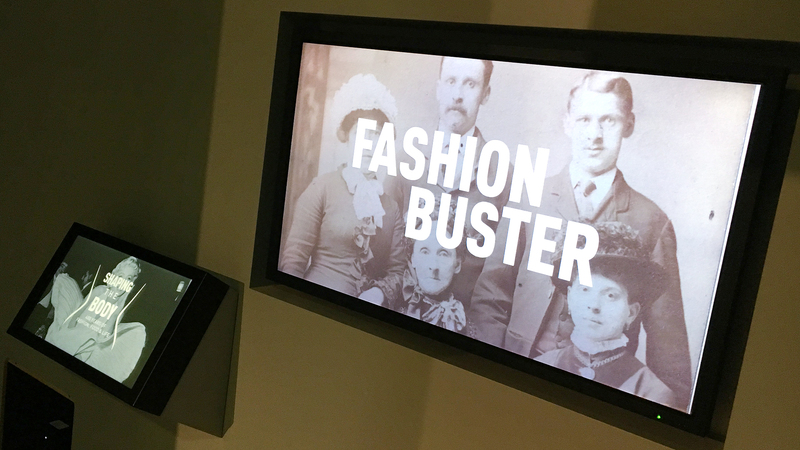 This exhibit presents a rolling edit of videos comparing and contrasting fashion through the ages. 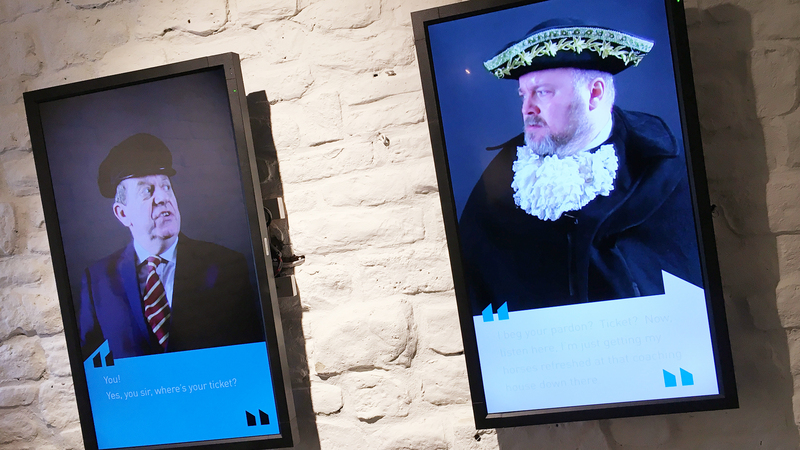 It helps visitors to recognise that we are all influenced by society, fashion, art and the economy in how we dress and eat and have been throughout history – through choice, or lack of choice. It challenges their perception of the ‘perfect body’, in terms of what is fit and healthy and aims to help people talk about and be honest about a difficult personal subject. 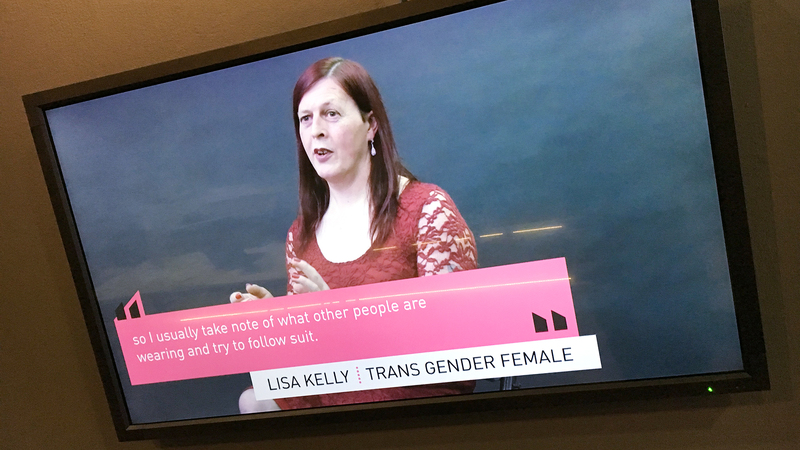 A range of different individuals, from punks to office workers and including a transgender woman and someone who has experienced anorexia, talk about what fashion and body image mean to them. Pairs of pictures comes to life as a visitor enters the room and triggers a motion sensor. The characters represent equivalent professions from different periods of time; they ask each other questions and comment on their experiences. Four pairs of characters share their thoughts: a coach driver and bus driver; a mother and house maid; an office worker and office clerk; a checkout assistant and grocer’s assistant. This exhibit presents a rolling edit of films combining static and moving images of exercise in the 20th century – manuals, books, instruction videos etc. 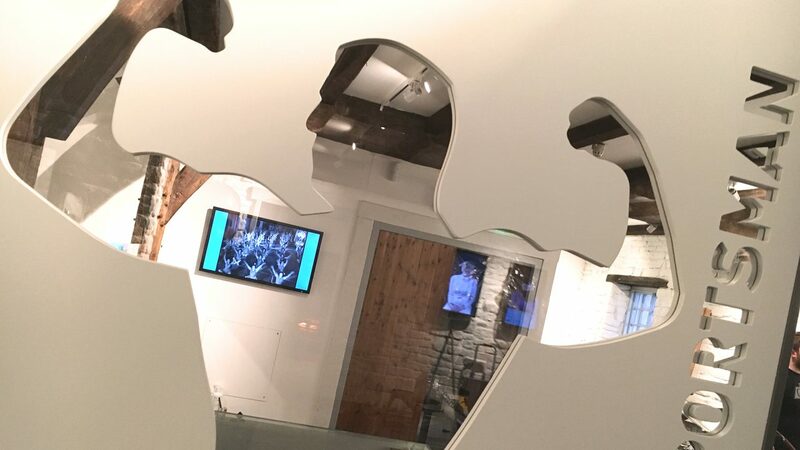 The objectives of the exhibit are to enable visitors to understand how our body shapes have changed over time and why and to challenge their perception of the ‘Perfect Body’, in terms of what is fit and healthy.